Hello, sweeties! Wish you all a very happy new year. Hope all of us have a rocking year ahead. Being a nail art addict, it's very important for me to take good care of my nails. They tend to break and chip sometimes. So using a very good nail polish remover to remove the nail polish is essential. Some time back I was using a local nail remover and my nails were getting cracked one after the other. I was not able to understand why this was happening till my sister told me to stop using such removers. The local nail removers contain a lot of acetone that damages our nails. This time, I have got 2 nail polish removers in my haul and one of them happens to be Odiva Nail Polish Remover Round Wipes. 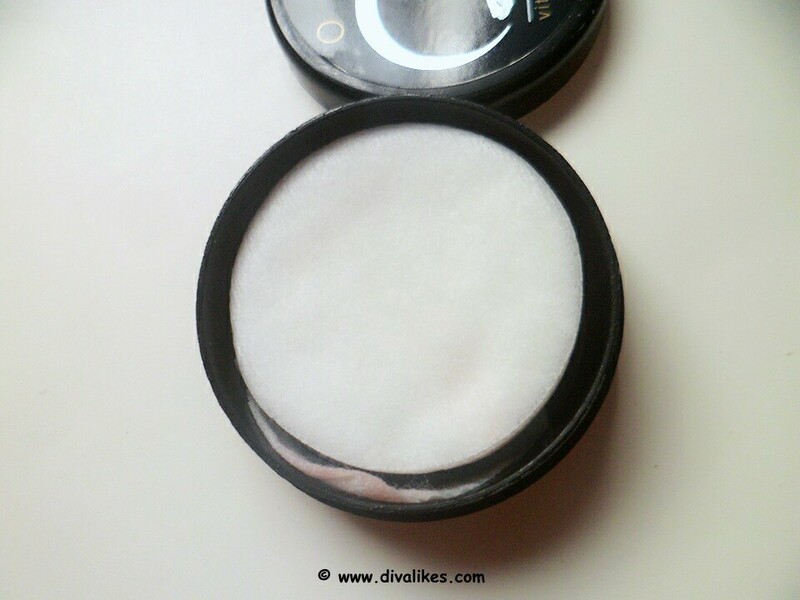 These are handy round pads soaked with nail polish remover which is an easy and hassle free way of removing nail polish. 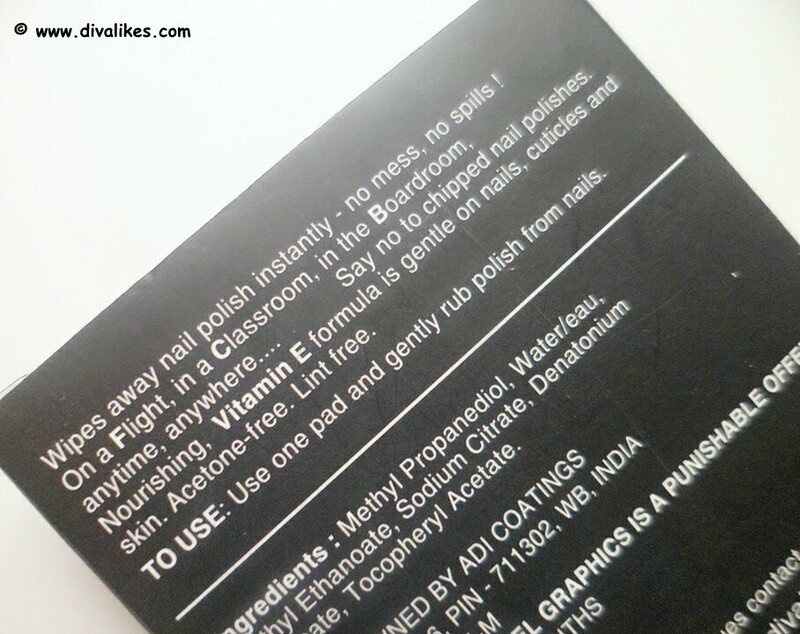 It claims of containing vitamin E and being acetone free. So let's get straightaway to the review to know the truth behind it. Wipes away nail polish instantly-no mess, no spills! On a flight, in a classroom, in the bedroom, anytime, anywhere. Say no to chipped nail polishes. Nourishing, Vitamin E formula is gentle on nails, cuticles and skin. Acetone free. Lint free. Methyl propanediol, water/eau, methyl ethanoate, sodium citrate, denatonium benzoate, tocopheryl acetate. Use one pad and gently rub polish from nails. 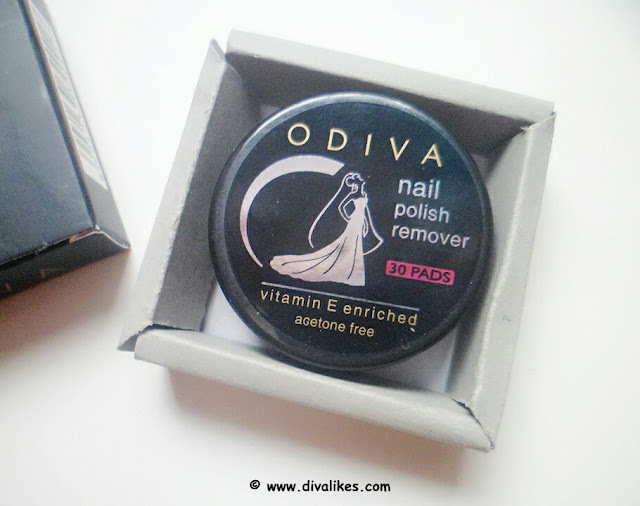 Odiva Nail Polish Remover Round Wipes come in a super cute matte black cardboard box. Inside the box, there is a small round plastic container which is placed on a square cardboard holder. The packaging is cute and totally travel-friendly. The lid of the container is secure. 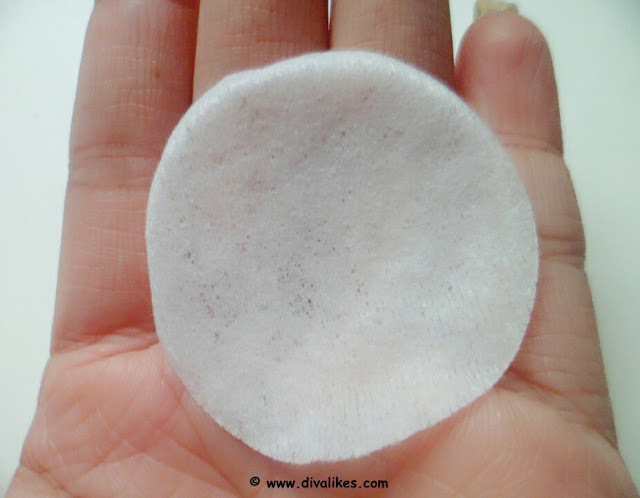 The nail remover pads are round in shape. These pads are very thin. 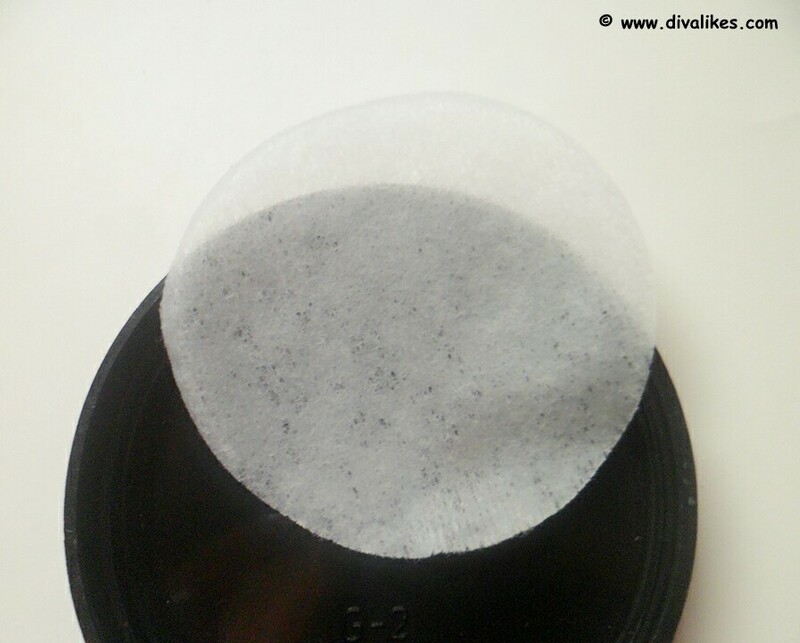 You need to be careful while taking out a pad because these are very thin and stick with each other. I ended up using 2 pads thinking of it to be one. The pads are wet with the remover but not droopy wet. It doesn't have a strong smell of remover like other ones. It does its job of removing the nail polish efficiently. One pad is enough to remove all the polish from 10 fingers. It cleans the nails very well. I have tried it with glitter polish also but for that, you need to use 2 pads for all the nails. It claims of being acetone free and that's very true for me. 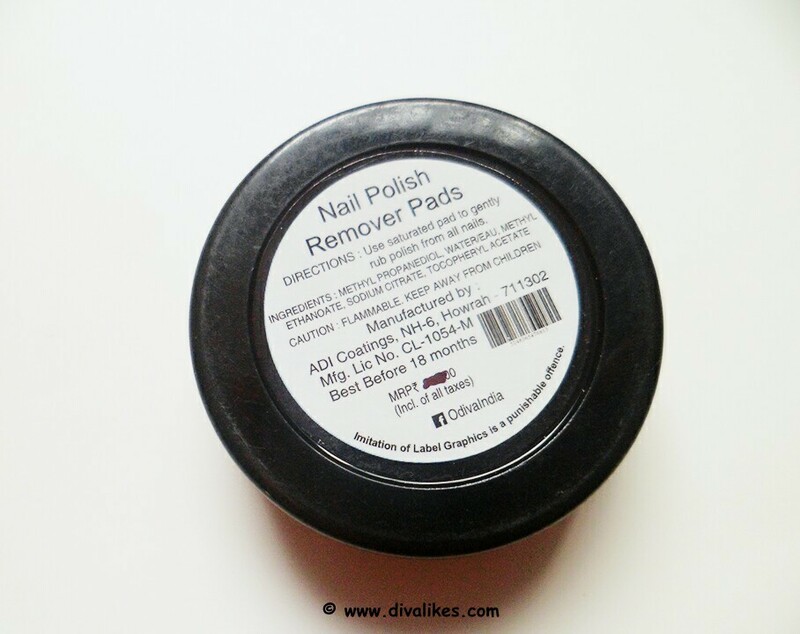 Unlike other nail removers, it does not make the nails and cuticles dry and white. Also, it does not transfer removed polish from one finger to the other. It has some sticky thing in it which I guess that is vitamin E as it makes the nails soft and moisturized. Nails become oily and shiny post usage and with some massaging of the nails, they look very healthy. 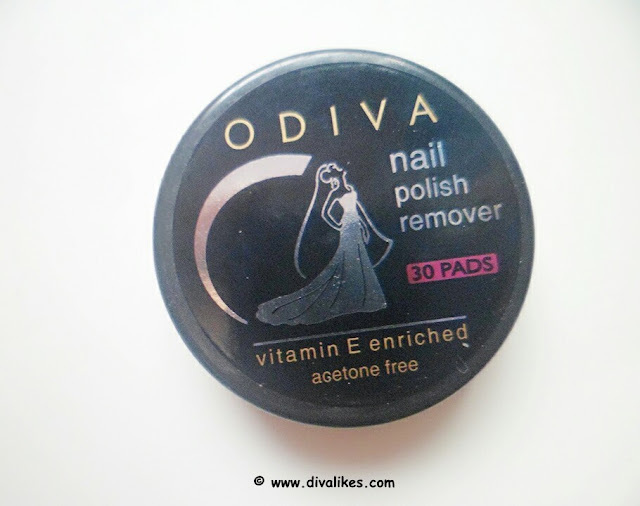 Overall I am very much impressed with Odiva Nail Polish Remover Round Wipes. They are handy and can be used anywhere anytime. Very cute and travel-friendly packaging. Handy and ready to use anytime anywhere. Cleans the nail polish very well. Doesn't dry out the cuticles and make them white. Moisturizes the nails and makes them shiny. Doesn't transfer the polish from one nail to the other. I definitely recommend Odiva Nail Polish Remover Round Wipes to everyone. All its claims are completely true. It does its job perfectly. This is definitely a time saver product. It moisturizes the nails and makes them look healthy. 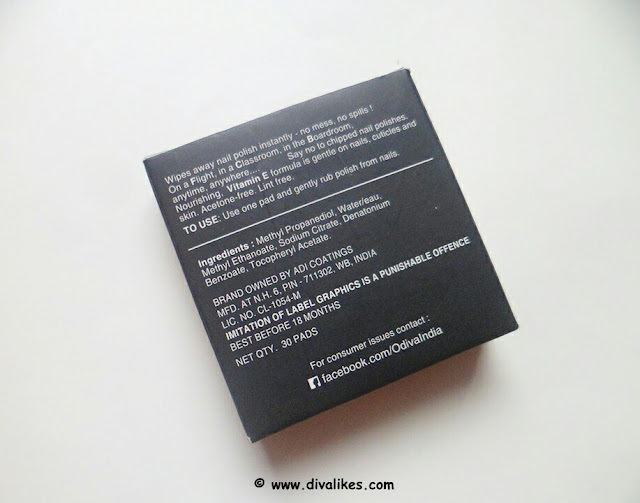 I am in awe of this product and it has become a must have for me! I think its a great deal for the work it does. Wow! These are so travel friendly! Yes and they work too Salomi! Hearing about this brand for the first time and thoroughly impressed. 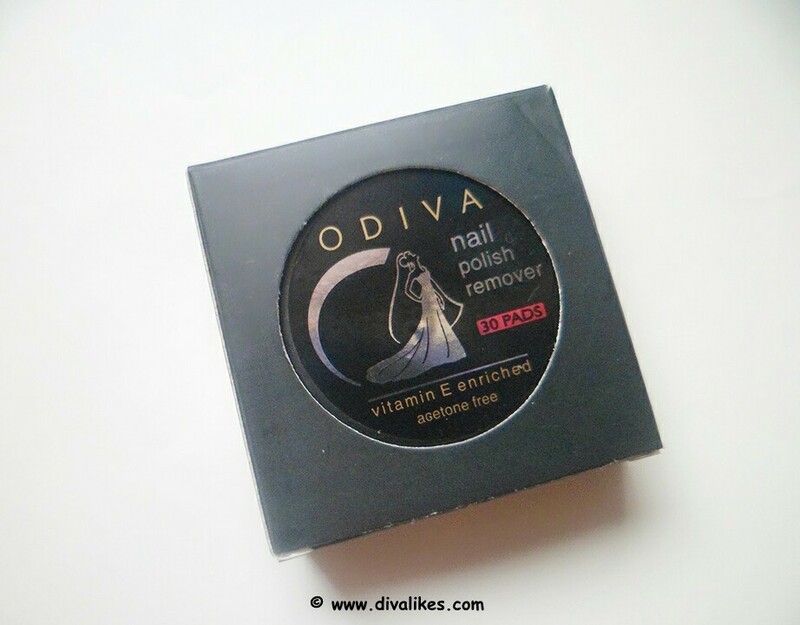 I have used it and it removes the polishes very quickly....very effective and handy ! !